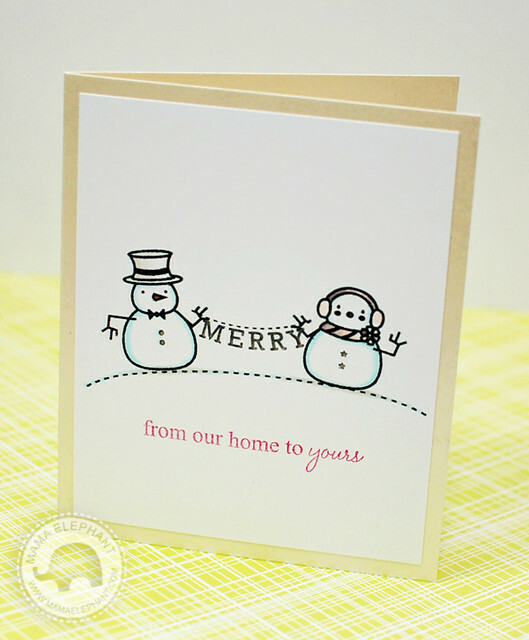 Today I'm highlighting a fun holiday set: Polar Pals. Polar Pals stars 4 cute arctic characters, you may have heard of them? 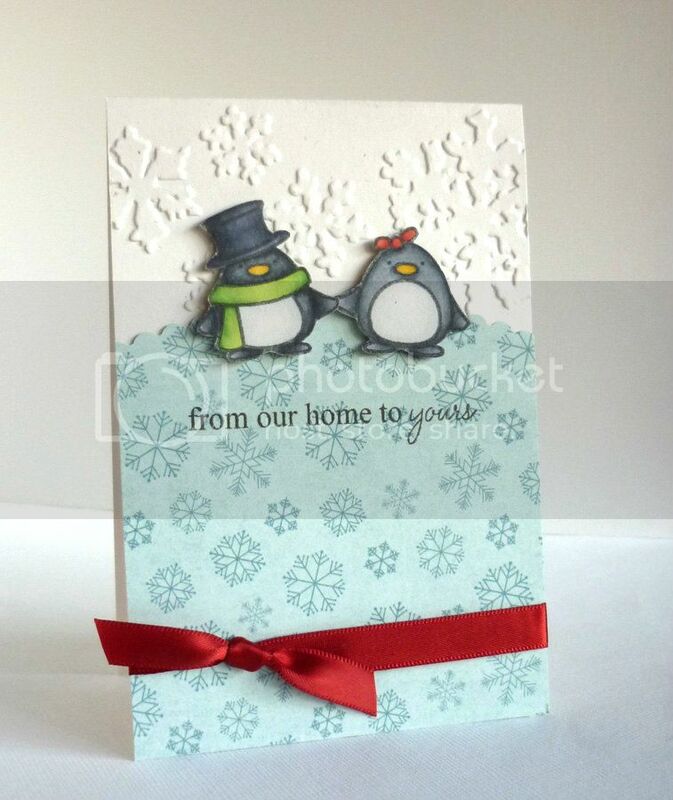 Mr. and Mrs. Snowman and Mr. and Mrs. Penguin. They can be used alone or together, or you can just mix them up for fun! The pairs are designed to "hold" one end of the banner of words, hearts, or stars together. Or they can hold the heart and star sparklers if you choose to have them as stand alone images. Endless possibilities = fun fun fun! You would be happy to know that they fit perfectly inside the snow globe of Believe in Magic. I should mention that all our stamps are designed with simplicity in mind. Any image can easily take center stage -- you create more with less. 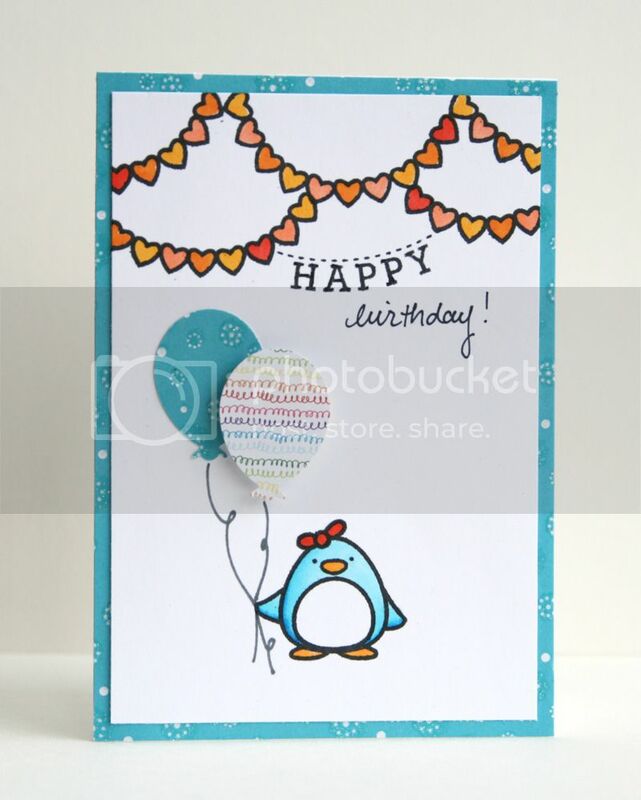 Like this card here. Not much needed to be done. Simple images. Simple message. Done. Awesome for mass production! Now let's check out what our Design Team did! Cute projects today! I love the penguins! 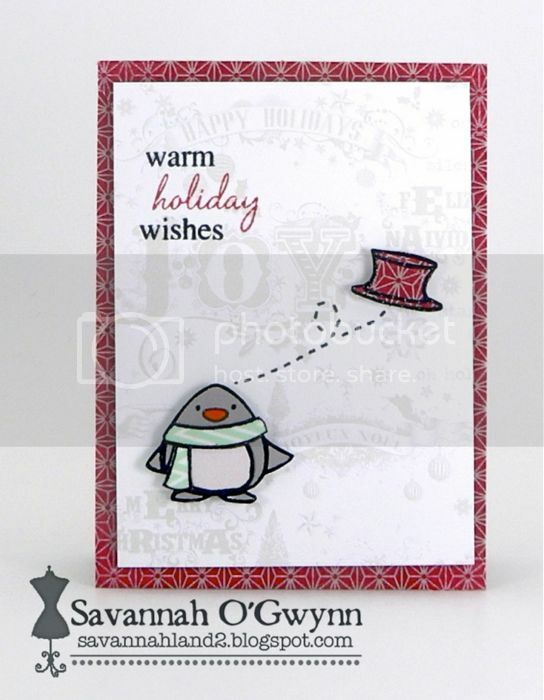 Love the little penguin!!! Too cute! These are such cute cards! I cannot WAIT to get my stamps in the mail!! Such a sweet set and beautiful cards! 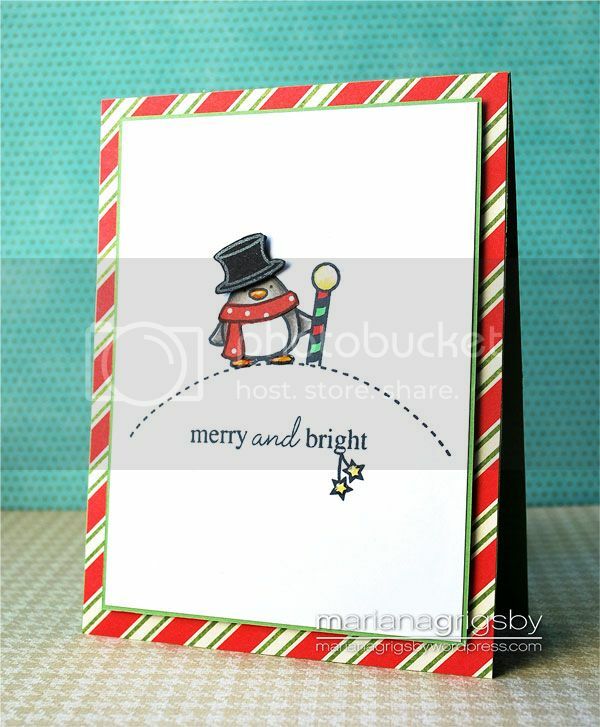 I just love these little guys and have been having fun stamping with them! oh my these are totally cute...love this set. 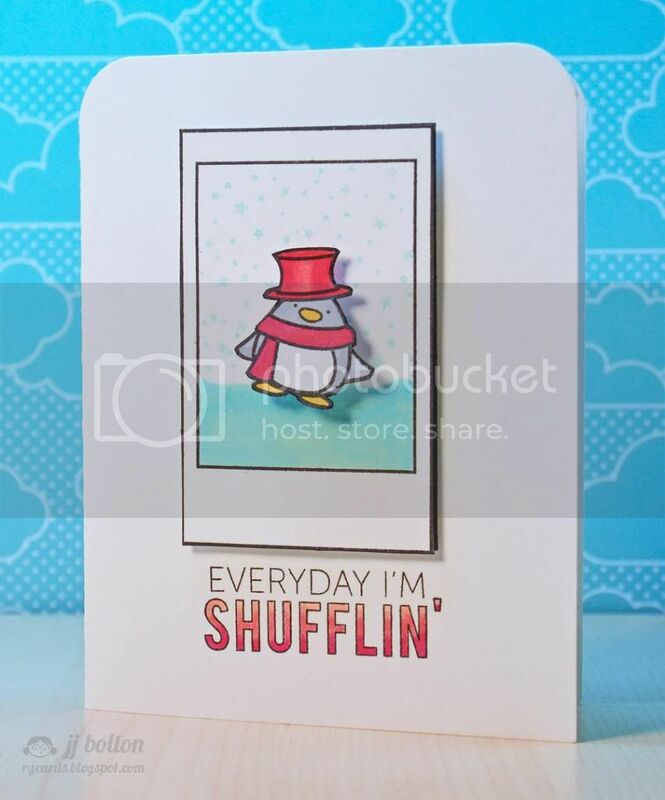 Everyday I'm shuffling.... That song popped out when I saw the card. Great set.